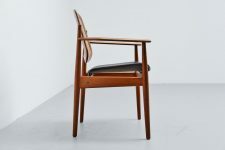 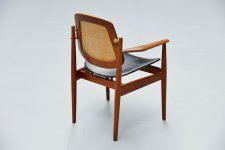 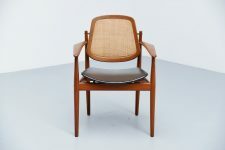 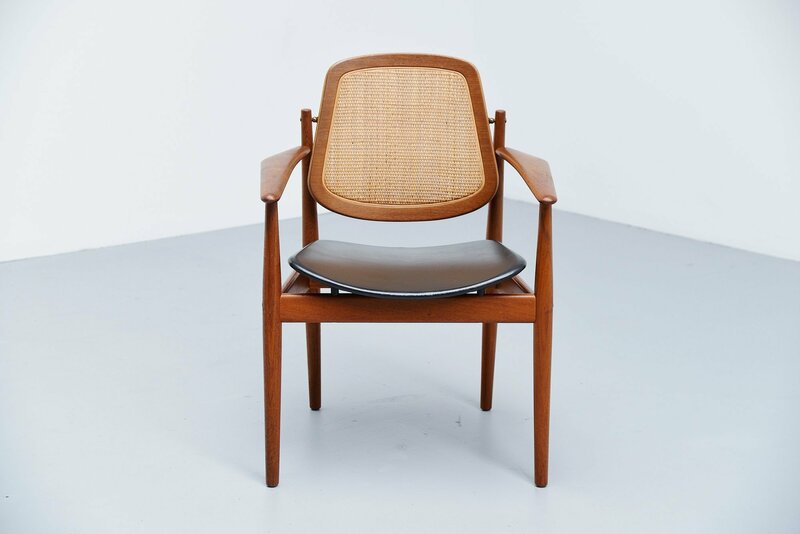 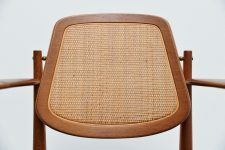 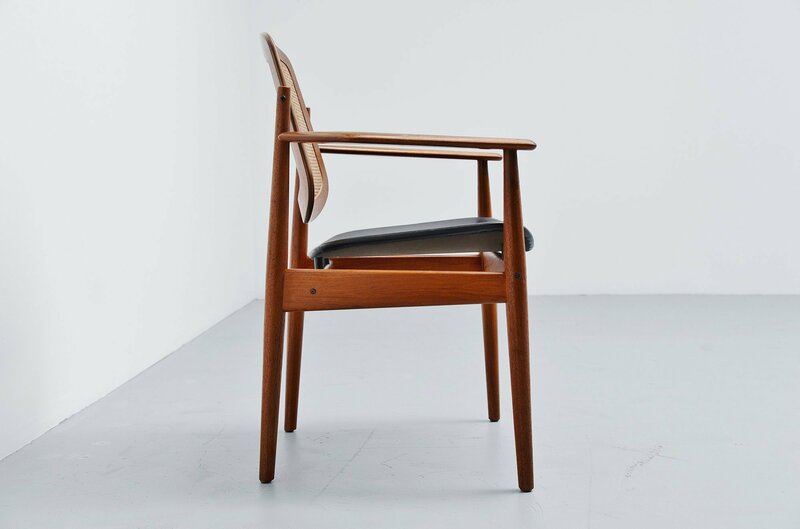 Sophisticated armchair model FD186 designed by Arne Vodder and manufactured by France & Son, Denmark 1956. 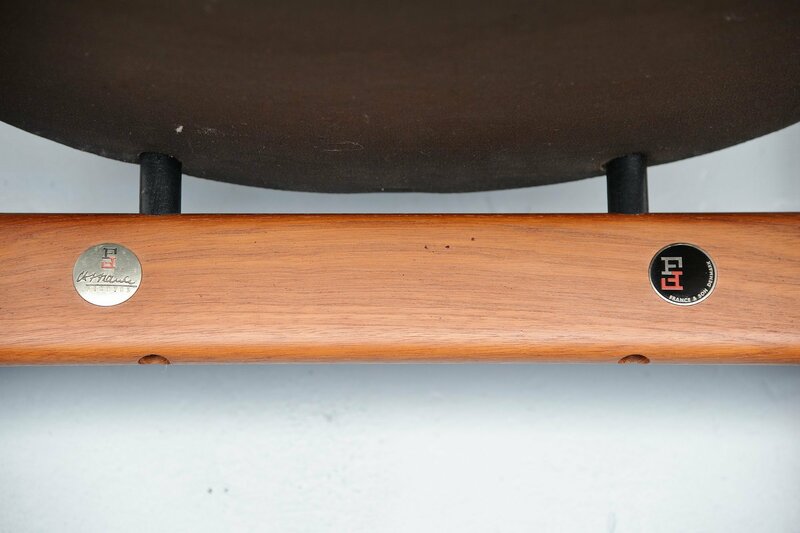 The armchair has a teak wooden frame, a nice canework inlay back, brass details and black leather upholstery. 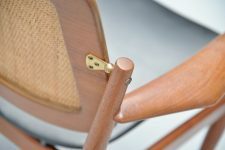 The chair is in excellent original condition and looks amazing. The chair is marked at the bottom with the France & Son metal tag. This chair is in amazing pristine condition.